U.S. Senator Chuck Grassley of Iowa is introducing legislation today designed to block a move by President Obama that would offer a tax credit to millions of undocumented immigrants. Grassley, a Republican, says the president’s executive order on immigration has opened a door that could cost the country hundreds of millions of dollars with that tax credit alone. 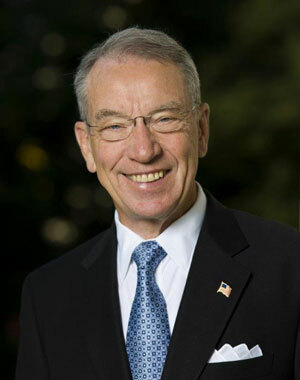 Grassley says, “With this stoke of the pen, the president rewarded those working illegally in the United States with this tax benefit, called the Earned Income Tax Credit, that is designed to encourage low-income individuals to enter the workforce.” It would be a tremendous, expensive mistake, Grassley says, to give as many as five-million illegal immigrants this bonus. The bill being offered by Iowa’s senior senator would put up a barricade so those being granted so-called amnesty by the president could not claim the tax credit. Grassley says, “My legislation would uphold an important principle that many of us in Congress support: the tax code shouldn’t reward those who broke our immigration laws.” The Earned Income Tax Credit brought an average of just over $2,300 for each taxpayer in 2012, and last year, the maximum credit was more than $6,100. Those receiving amnesty would be able to claim three years of credits and receive the entire amount in one lump sum from the U.S. Treasury. Some estimate President Obama’s immigration orders will cost at least $1.7 billion for the EITC alone.